Fleet managers have plenty of issues on a daily basis. Perhaps one that can be confusing is how to handle an insurance claim following an accident. As a rule of thumb, make the claim with your own insurance carrier. Although you will be charged a deductible, the added expense will be worth the peace of mind that the claim will be addressed in a timely manner. In the fleet business, time is money and any downtime on a unit will equal lost dollars. However, if you’re educated on the laws of insurance in your state (or the state where the accident occurred) you can manage making the claim with the other parties insurance, not pay a deductible, and reduce your chances of an increased premium with your own insurance carrier. Just remember these simple rules that apply to most states. Following the accident you have the option to file a claim with your insurance carrier or the insurer for the person at fault. If you choose to file your claim with the other insurer know that your right to file a claim with your own insurance carrier diminishes overtime. Check your policy on how long you have to report and file a claim. Know that settlement offers typically varies within a 10% range, and insurance adjusters will normally initially offer the low end of their range for a settlement. If you determine that the settlement offer is too low, explain this to the adjuster and end the call. Most adjusters will approach you again within the following 14 days and offer a higher amount. Be prepared to negotiate and understand the adjusters reasoning for the settlement offer amount. Be aware that where the accident occurred takes precedence on how a settlement is determined. Aside from pure or modified comparative liability, many states also allow ‘joint’ and ‘several’ liability. This means if you’re involved in a four-car collision where you’re determined to be 1% or more at fault, and any other party to the accident has suffered damages, they can file a claim against you for damages for the full amount minus their liability. In other words, if you have deep pockets you’ll be sued by each or all parties to an accident even if you’re not the majority at fault. 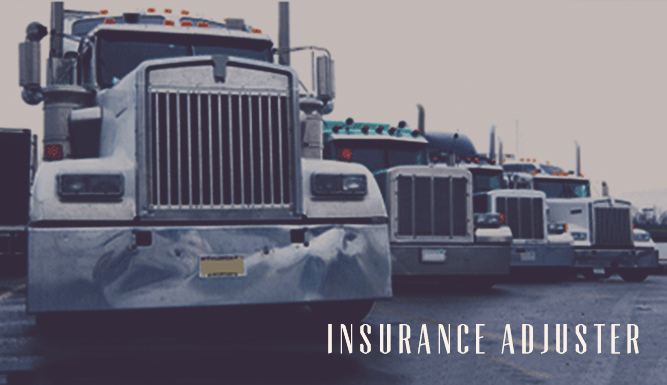 Insurance policies permit you to collect lost wages and loss of use of your truck if you use it to earn a living. If your truck is put out of service for repairs caused by the accident you’re entitled to these charges. The caveat is you have to request these damage awards from your insurance adjuster, who will not volunteer it’s available to you. Be prepared to provide documentation on your recent, normal wages, your occupation, and how your vehicle provides income for you.